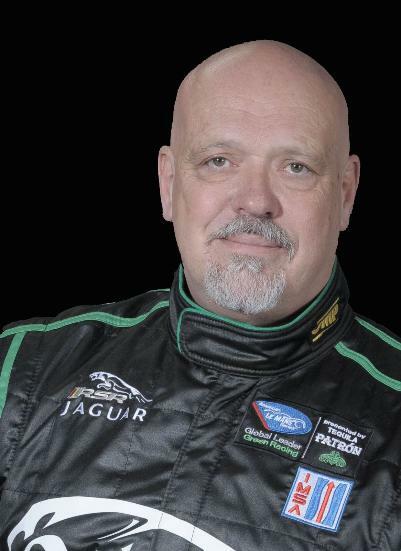 Paul began road racing in 1981 in the IMSA American Challenge. He won the GTS class at the 1992 12-Hours of Sebring. Won the 1993 IMSA GTS Manufacturer’s Championship with Oldsmobile. Won the overall 1994 Rolex 24 at Daytona with Scott Pruett, Butch Leitzinger and Steve Millen. Won the 2002 Rolex 24 at Daytona in the GTS class with Scott Pruett, Brian Simo and Michael Lauer. Won Trans-Am titles in 1998, 1999, 2001, 2004 and 2006. Ranks first in virtually every Trans-Am performance category, including wins, podiums, top-five and top-ten finishes, race starts, laps led, fastest race laps, lead-lap finishes and total winnings. Ford; 2001, 2004, 2006 – Jaguar. Founded Lansing based Rocketsports Racing.